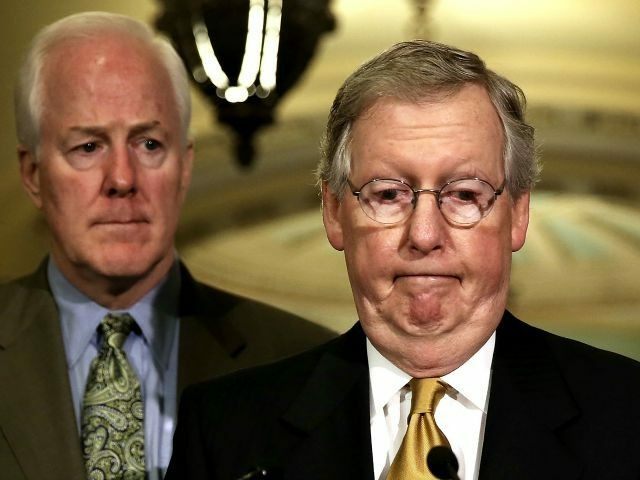 GOP Chairman to Mitch McConnell: Quit! A senior Republican official is urging Kentucky Sen. Mitch McConnell to resign from his job as the Republican leader of the Senate. 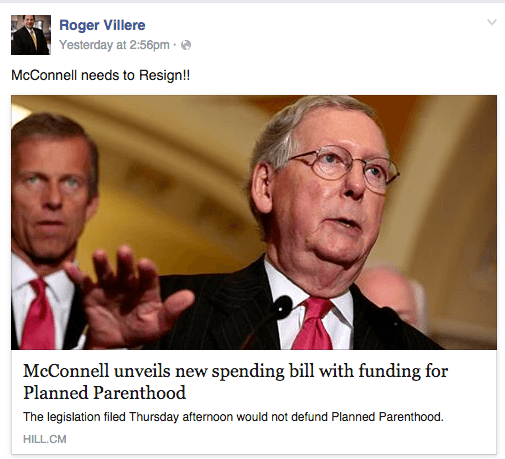 “Mitch is a good and honorable guy, but the base is leaving our party,” Roger Villere, the chairman of the Louisiana GOP, told the Washington Times. “I’ve worked for 12 years as chairman to build this party, and I just don’t want to see it all go down the drain because the [leaders] aren’t willing to fight for what we believe… Our base is demanding we do something or they’re going to leave us,” said Villare, who also holds a position at the Republican National Committee. “The GOP brand is being damaged… everybody is so furious at the leadership,” Villere said. The base’s anger helped push House Speaker John Boehner to announce he will leave Congress at the end of October. The governor of Lousiana, Bobby Jindal, has also called for Mitchell to resign. “Here’s what I say in response to Speaker Boehner stepping down: Mitch McConnell, it is now your turn,” Jindal told a cheering audience at the conservative Values Voter Summit on Friday.